Did you know? More than 25,000 children in Douglas County, 85,000 across Nebraska, and 120,000 in Iowa live with hunger every day. * You can make this season a little brighter for those in need this holiday season. 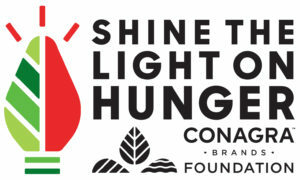 With the support of this very generous community, Conagra Brands has set an ambitious goal this year of raising the equivalent of 1.5 million meals to support the hunger relief efforts led by Food Bank for Heartland as part of the “Shine the Light on Hunger” campaign. Now in its 12th year, the campaign is a rallying call to support hunger relief programs and provide meals for those who are food insecure. The public is invited to make donations of nonperishable food at the various drop off sites around town, including all area Baker’s stores. A full list of drop off sites can be found below. 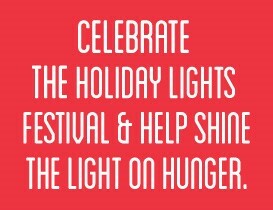 The Capitol District Ice Rink on 10th Street and Capitol Avenue, returns again this year to entertain families and “Shine the Light on Hunger.” It’s an integral part of “Shine the Light on Hunger,” which allows everybody to do good while having fun. Click here for a complete holiday schedule. A $10 admission fee includes skate rental, although patrons may bring their own skates. 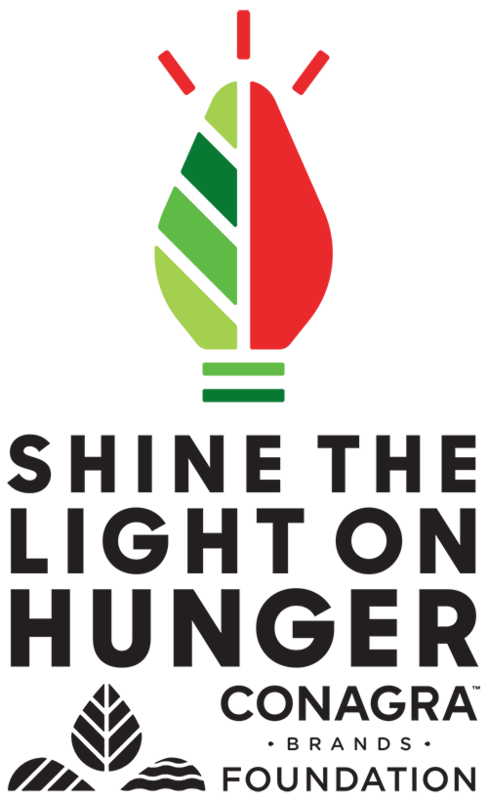 As part of the “Shine the Light on Hunger” campaign, a portion of the admission fee will be matched by a $100,000 gift from the Conagra Brands Foundation to support Food Bank for the Heartland. In addition to hosting collection barrels, Baker’s will be hosting an event where local Boy Scouts will be helping to Shine the Light on Hunger by collecting food and funds for Food Bank for the Heartland on December 8 from 10 a.m. to 2 p.m. at their store on 173rd and West Center Road. While out shopping for groceries, shoppers are encouraged to pick up some extra items for the Shine the Light on Hunger campaign. Through your donation and participation, you can help ensure the families in your community are well-fed and healthy this holiday season. CLICK HERE to donate to the Food Bank for the Heartland! Drop off your non-perishable food donation items at any of these locations between November 22 and December 31. Drop off your non-perishable food donation at any Omaha and Bellevue Baker’s locations.